It’s the height of summer. All the produce is stunning and the days are long and hot. It’s lazy in the best way possible. I don’t know if any of you know this, but I fell in love with my husband again over shortcakes. We had just closed our restaurant, and life was tough to say the least. I had so many butter pound cakes left, and I packed ‘em all up and froze them individually. That entire summer we had what felt like a never ending supply of cream and berries and pound cakes. We would sit on our bed and watch our baby Noah sleep and talk about life again. I’ll never forget that summer. Now whenever I eat this treat I’m reminded of growth, new beginnings, and finding the joy in life. The expression “life is just a bowl full of cherries” never felt truer. It’s not without its pits, but the sweet fruit makes it all worth it. I hope you make this simple dessert that requires very little effort and enjoy the little things in life. I was able to find the most glorious rosy golden Rainer cherries, a super northwest treat, at my local QFC. The bakery section is just what you’ll need when it’s too hot to turn the oven on. Feel free to change it up and buy angel food cake! The sky is the limit. 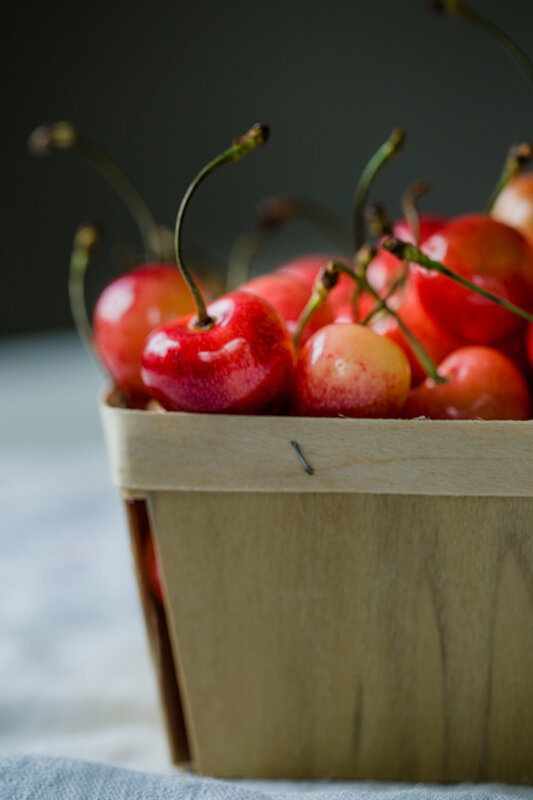 National Rainier Cherry Day is July 11th! Enjoy! Whip the cream, sugar, and vanilla on medium speed until soft peaks form. I prefer the cream on the softer side. Set cream aside in the fridge until it’s time to serve. In a serving bowl, slice and pit the cherries and mix them with the lemon, sugar, and salt. Leave them to macerate for about 30 minutes. The lemon prevents browning. 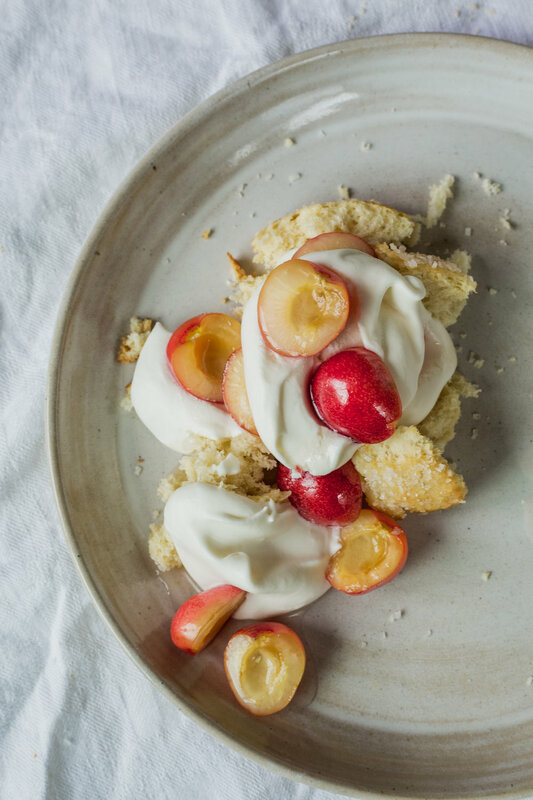 To serve, split the short cakes and dollop whipped cream and fruit over top of the cakes. Spoon the juices over top of that and enjoy!